Hey Howdy Hey friends! Toy Story Land is officially open and we are celebrating with an exciting Toy Story Land Celebration giveaway. At noon on opening day, there was a 3 to 4-hour line to be allowed into the Toy Story Land area. Besides that, add on a 3.5 or more hour wait to get on one of the attractions. I would say Toy Story Land opening was a success! For many of us that haven’t gotten there yet, but are planning to get there soon, let’s have Toy Story Land Celebration giveaway! A little extra Disney money for your visit to Andy’s backyard. Heck, even if you’ve already been there – you can enter too! You deserve to win if you braved those crowds! I would save this for a Christmas gift for my nephew! Thanks for the chance! I would use this gift card towards annual passes for my family. Thanks for the chance to win. I would use the gift card for clothing for the family from the Disney Store and/or for Christmas gifts. I would love to be able to use this towards our Honeymoon coming up this December!! Can’t wait to check out Toy Story Land! 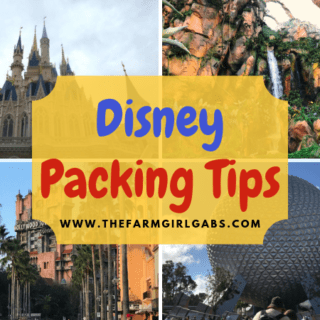 We head down to WDW to celebrate Thanksgiving! Can’t wait! Ella will be there, later, to volunteer at Give Kids the World. We are excited for her! I would definitely put it towards our trip to Disney. We are plann oui ng and saving up to go in february 2019. I think I am more excited than the kids right now at least !! We are going to Disney in September, the gift card would be used towards having fun and making memories with our family there ??? I recently bought the cheapest pass you could buy, with blackout dates and would love to go stock up on some gifts for my nieces and nephews. I also saw a super cute dress with birds on it when I was there in June and it would be so neat to get it! I would use the gift card for presents for my son, niece, and my son’s best friend! I would use the gift card towards the vacatipn that we are surprising my daughter with at Christmas. We are going for my husbands 50th birthday! This will be a great way to celebrate! I have 4 grandkids. 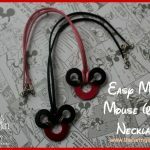 I would be getting them some sweet Disney swag! I’d use it for Christmas presents for my kids!